G550 N579GA (5579) did a first (?) flight from Savannah on the 19th as GLF45. There are only allocations up to 5585 on the register so will be interesting to see if more are added soon. G650 N637GA (6337) ferried Savannah to Long Beach on the 19th. 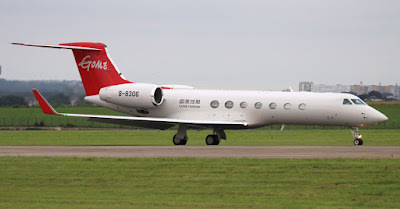 Upgrades to G650ER were 6314 and 6317. G650 N2E (6310) was delivered from Savannah to Melbourne FL on the 21st. N688CF (6288) flew to San Jose on the 21st which looks to be it's new home. M-VITB (6250) left Bournemouth on the 23rd (having arrived a day short of a year earlier) and flew to Teterboro via Athens the following day. Continued to Fort Lauderdale on the 25th. 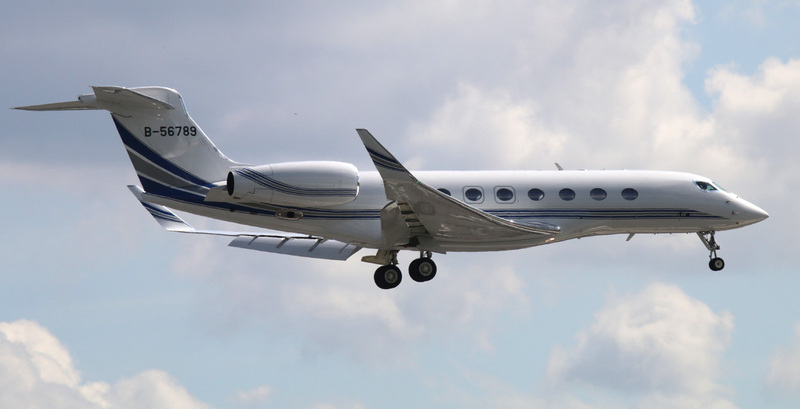 G650 N611GA (6311) has just cancelled to Morocco becoming the 1st of the type to that country. G500 certification may be getting closer but there is a clause. See link to article. Dave Lythgoe has been on his travels again and caught these goodies at Le Bourget on the 15th-16th.